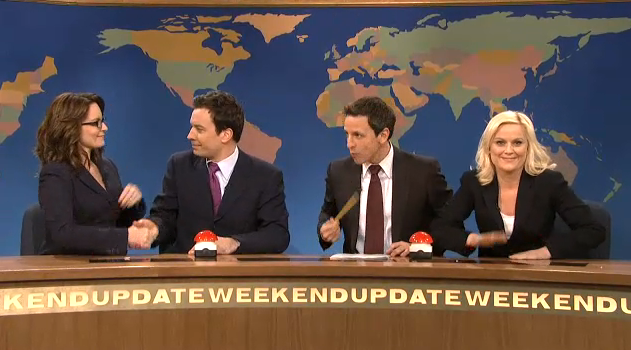 Jimmy Fallon, Tina Fey and Amy Poehler all got together again for Weekend Update for a fabulous Joke Off with Seth Meyers last night on SNL. It was sooo good to see all of them together again. I miss those days! But, it made last night that much better. SNL: Jimmy Fallon Cold Open is Awesome!